Cambodia Minister of Agriculture Veng Sakhon has delivered a stinging broadside to the country’s agriculture and business sectors in the wake of what can only be described as the world’s shortest “crisis.” Just over a week ago the Cambodia rice sector was said to be in ‘crisis’. The tumbling price of rice in Battambang saw farmers take to the streets as prices tumbled from about $250 per ton in mid-August to $192 in early September. With just 10 per cent of the rainy season crop harvested and millers saying they did not have the funds to buy rice, the future for the economically vital Cambodia rice sector was looking bleak. 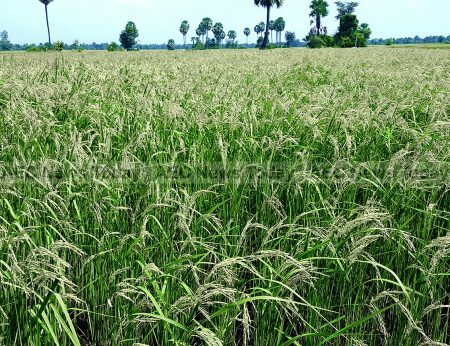 This despite the Cambodian Rice Federation (CRF) announcing in June that the government had agreed to disperse up to $30 million in emergency loans for the purchase of paddy rice from farmers this season. However, with the harvest already underway and the funds still nowhere to be seen, CRF finance manager, Horn Theara, told The Phnom Penh Post, ‘“millers do not have enough working capital to purchase rice paddy stock”’. With photos of Battambang protesters dumping their harvest over the roadway being posted on social media, Cambodia Prime Minister Hun Sen called on officials to immediately begin dispersing $27 million dollars in funds, at the same time calling on wealthy business owners and government officials who could afford it to purchase paddy from farmers. Ruling Cambodian People’s Party (CPP) cadré, government ministers, and the country’s largest business owners leapt into action to save the Cambodia rice sector, many buying ten tons or more. Within the days the Cambodia rice ‘crisis’ was declared over, amply demonstrating the power that Mr Hun has in Cambodia. Making no attempt to hide the involvement of the CPP, spokesman Sok Eysan told The Cambodia Daily ‘“All of those who bought rice are members of the CPP. It is the party’s principle… for all of its members to be linked to farmers and to be generous in supporting their standard of living”’. 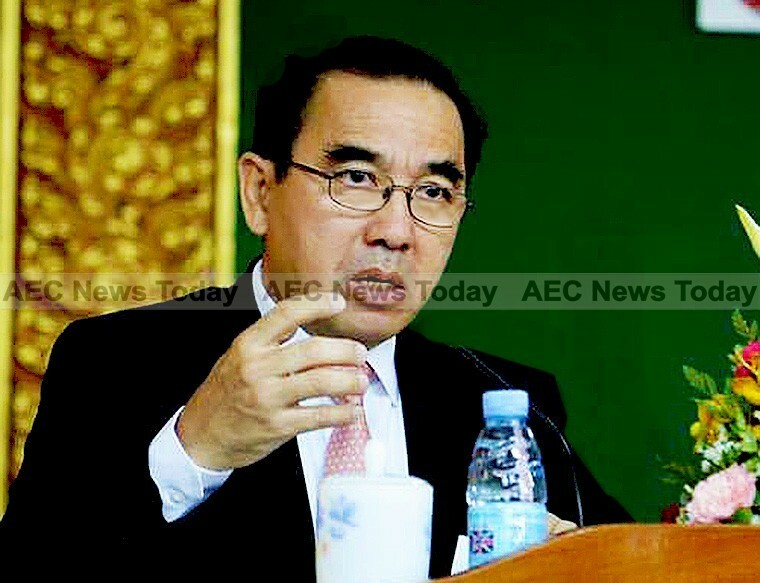 Acknowledging that the expectation is that the farmers will return the favor at next year’s commune elections due to the prevailing Buddhist culture of gratitude, Mr Sok added, ‘”It is also the policy of the government to increase the popularity of the CPP to attract support in response to the upcoming election”. According to Kao Thach, CEO of the Rural Development Bank (RDB) some 2,700 tons of rice had been purchased in the days following the Prime Minister’s call, while 7,000 tons of paddy had been purchased by mills using the low-cost loan funds. For many millers though the government stimulus loan remains unappealing. Originally offered at an annual interest rate of 8 per cent, only marginally below commercial rates, the money also came with a condition that millers must pay a minimum of $210 per ton. With paddy selling for just $150 per ton in the lead up to last week’s four-day Phchum Ben holiday, millers are unlikely to see a profit for some time even at the reduced rate of 7 per cent per annum. In July the UN Food and Agriculture Organisation (UN-FAO) forecast the total worldwide trade of rice for 2016 as 43.9 million tons, the second successive year of contraction due to oversupply. ‘Much of the projected fall would reflect import reductions in the Far East, where key buyers such as Bangladesh, China (Mainland), the Philippines and Sri Lanka may lower their purchases amid ample availability on store and/or increased border protection’, the agency said. The stimulus package and ‘good Samaritan’ purchases are little more than a band-aid solution. The Cambodia rice sector is noncompetitive and fails to take advantage of other options and is in urgent need of modernisation. A recent farm economics study by the World Bank and Livelihoods and Food Security Trust Fund (Lift) showed yield by Cambodia rice farmers a distant third to counterparts in Vietnam and Thailand. According to the study one day of work generates only 62kg (136lb) of monsoon season paddy in Cambodia, leading Myanmar at 23kg (51lb), but far behind the 429kg (946lb) in Vietnam and 547kg (1,206lb) in Thailand (See: Unlocking Myanmar’s Agriculture Sector potential). Even with the world awash in cheap rice, many exporting countries are planning to increase production. Myanmar is looking to triple rice exports in the coming three years, while Cambodia is still pining for its elusive one-million-tonnes a year export goal – about double what the country shipped last year. Taking aim at the private sector Mr Veng accused it of boosting competing countries at the expense of Cambodia, by importing products that could be sourced locally. Cambodia’s failure to compete with its neighbors in rice sales was due to a lack of innovation and research by local business people, the minister said. ‘“Regarding the private sector, they are careless and not smart about competing in business. They are not smart enough to compete regionally”’, he said. Cambodian business people ‘”should study the market prices and what our friends around us are doing – what they are able to do and what we are not able to do. Because it is very unfortunate that although we have customers, we make a loss. “In Cambodia there are factories established that produce food for fishes and food for other animals, which require rice grains for production, but businesses overlook the possibility of using domestic rice—or corn, or bran—to create these foods, and millers do not advertise them properly”‘, The Cambodia Daily quoted Mr Veng saying. In response the publication quoted Lay Chhun Hour, CEO of City Rice Mill in Battambang, who said basic utility costs were already stretching the private sector and that the government needed to come up with a plan to support long-term efforts to strengthen the country’s rice sector. ‘“How can we be smart if the cost of electricity — an important factor of production — is high?”’ he asked. According to Reuters, the Cambodia rice sector have a hard time competing with other Asean rice exporters such as Thailand and Vietnam because of expensive transport and higher electricity prices. Kenn Kunthy, chief executive of rice miller Battambang Rice Investment Co, told Reuters that falling rice prices were a global trend and the Cambodia rice sector faces fierce international competition. ‘”There have been no orders from abroad so millers couldn’t buy rice from farmers”,’ Mr Kann said. Cambodia is not the only country feeling the effect of a global oversupply. While Cambodia rice exports fell 6 per cent in the first half of 2016, those from Vietnam dropped 32 per cent. Hit even harder was Myanmar where rice exports plummeted 63 per cent during its latest dry season harvest. Also contributing to lower global rice demand and prices are self-sustainability measures introduced by Nigeria, once the world’s second-largest importer of rice at three million tons per year, second behind China at four million tons. Additionally Thailand is attempting to get rid of a ten million ton stockpile from the rice pledging scheme of deposed Thai prime minister Yingluck Shinawatra. At the same time, Vietnam, with its more cost-efficient production, is able to maintain a significantly lower price point for its crops, which frequently cross its porous border with Cambodia. Legal and illegal cross-border trade is a problem. According to UK-based think tank the Center for Policy Studies’ (CPS), up to 400 tons of vegetables and produce are imported daily from nearby countries, putting the total value of imports at up to $250 million annually (See: GIZ Programme to Boost Cambodia’s Organic Produce Sector). The government has vowed to step up measures to prevent the flow of Vietnamese rice, limiting imports to new rice only with a production cost of more than $300 per ton. According to Mr Moul, this will “control the flood of rice imports from Vietnam as well as rice smuggling. It will also control the quality rice in the market. Vietnamese rice produced for $200 to $300 per ton was selling cheaper than locally milled rice, even with 17 per cent import duty and VAT. Mr Moul said the government’s efforts to prop up the Cambodia rice sector by encouraging large purchases by businesses and wealthy individuals have helped to sell only a few tons of rice, estimating that 35 to 40 per cent of farmers in the area had stock remaining. Prices being offered by mills affiliated with the rice federation had fallen to about $150 per ton for paddy on October 5, despite the stimulus subsidies. According to Mr Moul, without a comprehensive, sustainable action plan for the Cambodia rice sector up to 50 per cent of Cambodia’s rice millers could be out of business by the end of the year.